Shoney’s is a great restaurant that doesn’t cost an arm and a leg to eat at. Every one that I’ve been to has had a pleasant staff that are eager to serve you. But today one waitress today probably wanted to quit. Through the constant volatile bickering from an older woman who was the definition of crotchety, I learned her name was Brenda. Today this woman who made it her mission to annoy and/or annihilate her server apparently ordered a sweet tea before My wife and I arrived. The server brought a diet coke to the table by mistake. This mistake was not life changing and only would only take seconds to correct once the server is notified. They do look similar in a glass full of ice. Its an easy mistake to make when you have an entire section of people to serve. But this woman was not going to forgive poor Brenda. She instantly went on a tirade about how she didn’t want the drink and how she wanted tea. “I wanted tea, is that hard to ask? Bring me some tea. What are they doing back there? Fighting to see who is going to make the tea?” There was nothing sweet about her. The server brought her a Tea after her barrage of insults and continued to work her section. She went on to disturb the other servers in attempt to get her Brenda’s last name and question whether or not they have noted drug usage. 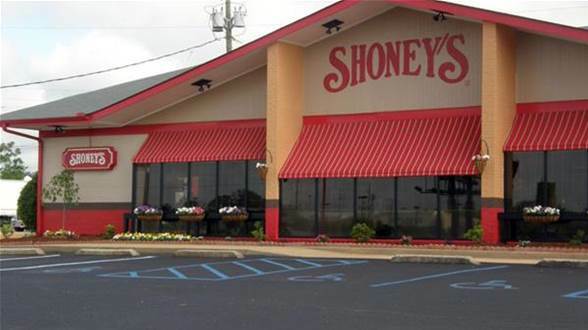 She stated that she wasn’t trying to be mean, she was just trying to save Shoney’s. She continued by saying that Her whole say was ruined by this one mistake. She said she loved Shoney’s and only wanted to help out. Once she was done berating her and eating she flagged down another server and hounded her to dispose of the Diet Coke she left on the table. She said she didn’t want that girl to try and give it to someone else. Really? Who would take the drink from one table and give it to the next patron who wants a drink? This lady full on believed that Brenda would serve the drink to another. She left and found the General Manager. And told het about her day and Brenda’s apparent drug use. He walked her out after she paid and came back in saying “I have no clue what she was talking about. She is crazy.” my wife and the other servers all laughed because she was crazy. Why would you berate someone for about 30 minutes and say she’s on drugs just because she gave you the wrong drink by accident? Poor Brenda still walked around with her head hung low. That woman could have very well ruined her day. For what? 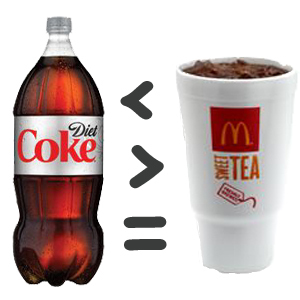 Sweet tea? My wife and I felt so bad for Brenda, and at a lose for the reason behind the elderly lady’s rant. How would you feel if you were Brenda? Could you put up with her abuse with a smile like she did? I don’t think I could. That’s just my two cents….